You may already have a lead management system in place that works for you. But, what if I told you that a recent study shows that 52 percent of consumers who’ve watched product demos feel more confident making online purchase decisions? Have you considered video for lead generation? 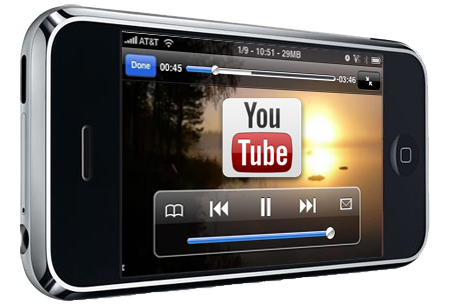 Online video now accounts for 50 percent of all mobile traffic and up to 69 percent of traffic on certain networks. Are you capitalizing on this surge in consumer interest? Gone are the days when the printed word alone will gain consumers’ attention. Reading is work. Watching is entertainment. Audiences are looking to be entertained and experience the story – not just read about it. Video can show the people behind your brand and bring to life the excitement of your work. Most Americans carry around a mobile device that gives them instant access to multimedia at any time. Are you wasting opportunities by not delivering the kind of content your customers crave? The beauty of video marketing is that it’s not a one and done deal. You’ve seen the videos that go viral and are seen by millions of people on Youtube in a matter of minutes! Those videos get people talking and live on in consumers’ memories. While I can’t guarantee that your video will go viral, this is your opportunity to make a great impression on your prospective customers and to invest in an asset that you can use again and again. You can upload the video to your website, integrate it into your email marketing, add it to a lead generation form, or blast it out to each of your company’s social media outlets. If these reasons aren’t enough for you, let our work speak for itself. Take a look at the videos we’ve created here. Don’t know where to start? Whether you need an “About Us” video, a creative look at a specific event/project, or a close up on your specific services, contact us to jumpstart your video marketing today.